The cut off wall was one part of the remediation project of the Vale mine in Thompson. 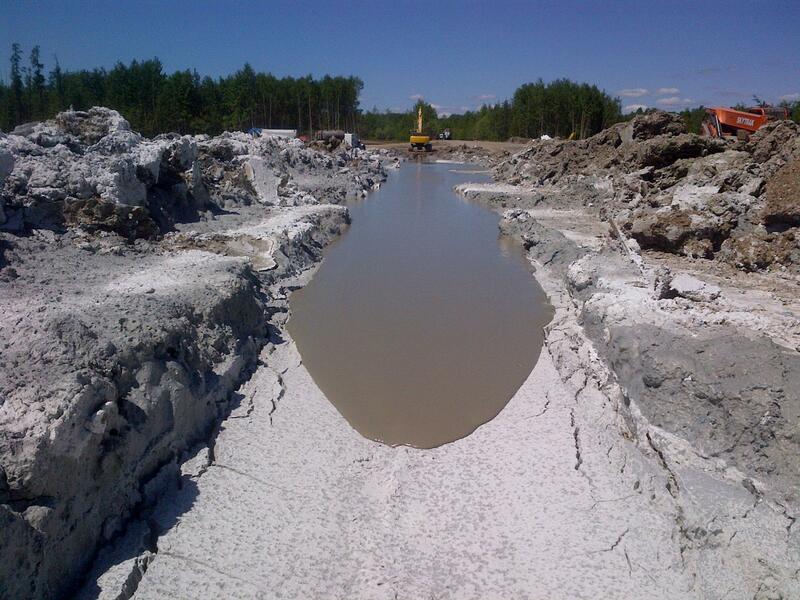 In order to prevent the tailings from producing acid while reacting with the air, water has to cover them. 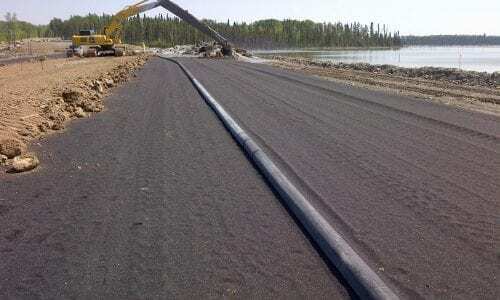 As a consequence, the tailings dam needed to be raised and also needed to become an impervious dam to hold a hydraulic water head differential. 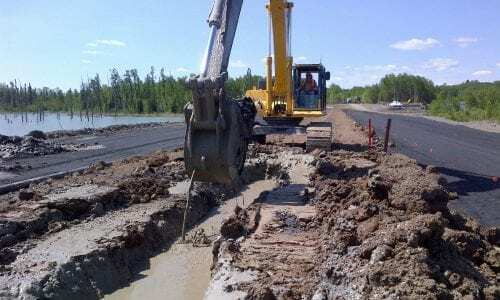 As an alternative to a traditional cut off wall such as sheet piling, a cement bentonite cut off wall (CB wall) was proposed to create an impervious barrier through the existing tailing dams and the slag beneath, and anchored in the clay layer below. The objectives of the treatment were to create a 1 meter wide cut off. 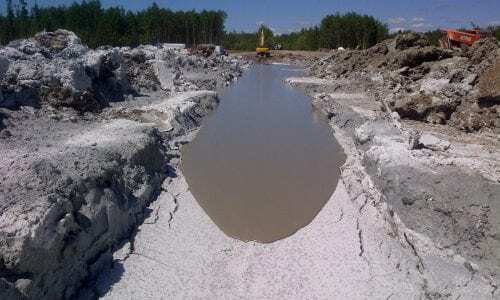 The cement bentonite slurry mix was designed to achieve required permeability of 10-8 m/s, ensure internal stability and global stability of the 10 meter deep trench during excavation. The wall was anchored one meter into the clay and an over break in the existing CB wall was done at the beginning of each day to ensure continuity of the wall. The 10 meter deep wall extended approximately 400 meters along its length. Quality control of the CB mix was done daily at the mixing plant and from in situ samples. Slurry in situ samples were also taken to measure permeability and compressive strength at 7 and 28 days. 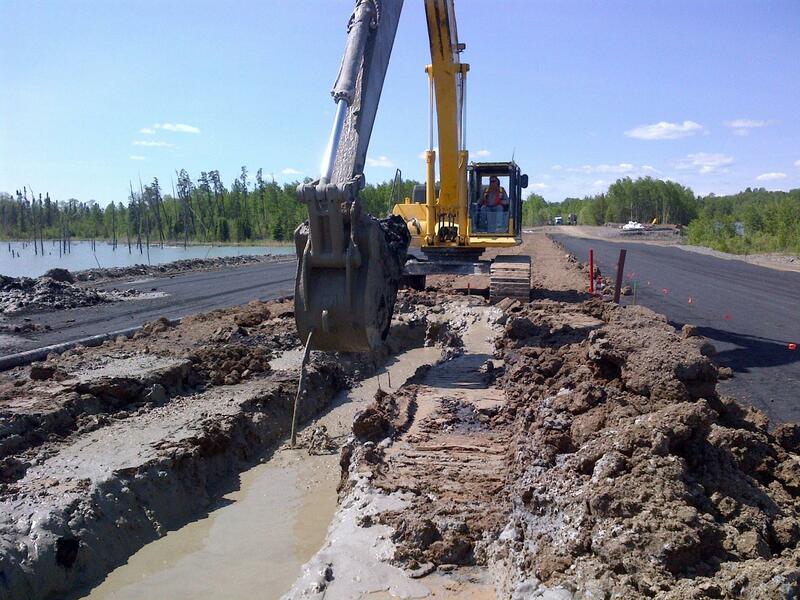 The ground improvement program was completed on schedule, with all tests attaining the intended results. 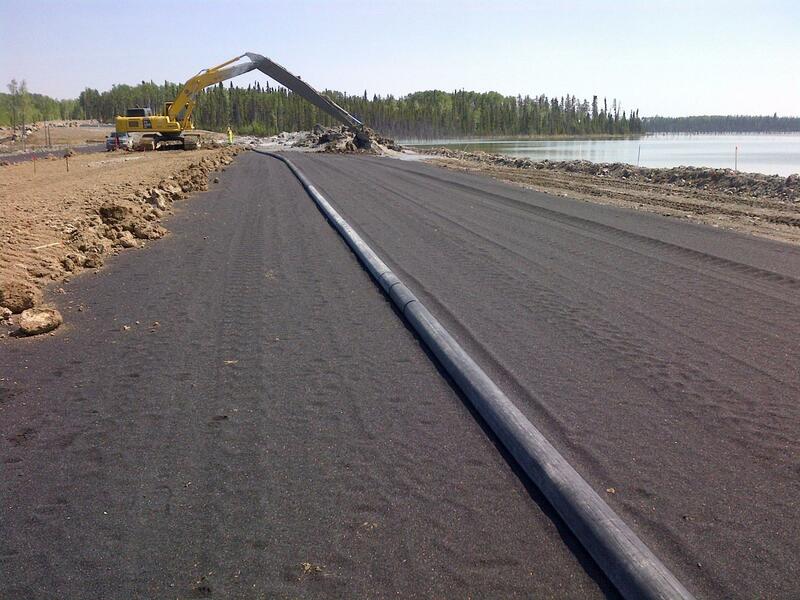 Menard Canada successfully delivered cost effective solution of soil improvement providing a reliable method, appropriate for the project and site conditions.